NORTHEAST HARBOR— Art writer Carl Little will give a slide talk on the life and art of painter Robert S. Neuman (1926-2015) on Wednesday, August 29, at 5:30 at the Northeast Harbor Library. The talk is free and open to the public. 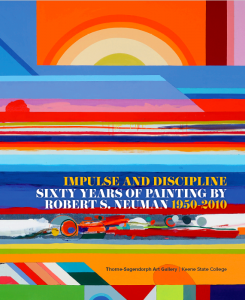 Little’s talk is based on his essay “A Lifetime of Art: Robert S. Neuman’s Humanist Vision,” published last year in the catalogue for the artist’s retrospective Impulse and Discipline: Sixty Years of Painting by Robert S. Neuman, 1950-2010 at Keene State College. The catalogue will be available for sale and signing. Among Little’s many art books are monographs on John Singer Sargent, Winslow Homer, Edward Hopper, Dahlov Ipcar, Beverly Hallam, Joel Babb, William Irvine, Jeffery Becton, Philip Barter and Philip Frey. 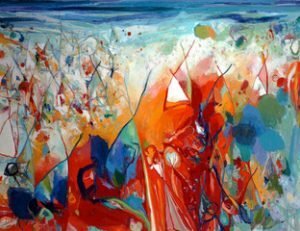 He edited his brother David Little’s Art of Katahdinand co-authored with him Art of Acadia, 2016, and Paintings of Portland, 2018. Little writes for Art New England, Island Journal, Hyperallergic, Maine Boats, Homes & Harbors, and Ornament. He has helped produce several Maine Masters films, including the award-winning Imber’s Left Hand, and is featured in the video “Richard Estes: My Camera Is My Sketchbook.” His poetry has appeared in five anthologies edited by Wesley McNair. Little is communications manager at the Maine Community Foundation. To confirm the time and date, call the Northeast Harbor Library at 276-3333 or visit www.nehlibrary.org.